Like many towns in Connecticut, New Canaan owes much of its modern character to the evolution of industry and transportation in the Northeast. Unlike more industrialized areas, however, a secluded location in proximity to Long Island Sound and New York City shaped New Canaan’s identity rather than the proliferation of factories and industry. The town was a popular summer vacation spot for urbanites, and those who came to get away from the city often never left. For more than two centuries, these urbanites (particularly those from New York) changed both the demographics and the landscape in New Canaan. Revolutionary war hero and deacon of the local Congregational Church Isaac Benedict purchased a house in New Canaan for his daughter and his son-in-law, William Davenport. In 1812, the couple moved in. When Davenport’s wife died in 1839, William moved to Brooklyn, New York, where he became a leader in the Plymouth Church. Still fond of the quiet, country life, Davenport returned to New Canaan on multiple occasions, often singing the area’s praises to his friends and followers in New York. 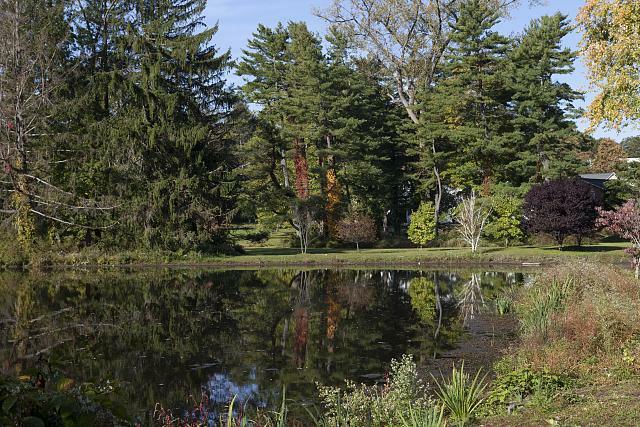 While perhaps not the first man to lure New Yorkers to the New Canaan area, Davenport typified the experiences of many from the metropolis who retreated to New Canaan for respite—often bringing friends and family members with them to relax in the country. During much of the 19th century, “weekenders” from New York City regularly inundated New Canaan, and it was not uncommon for first-time visitors to come for a weekend during the summer and then return for a month or longer the next year. The following summer they might stay for the entire season and then, eventually, buy property in the area. Gilbert Birdsall was one of the more famous New Yorkers who came to New Canaan and never left. In the mid-19th century, Birdsall was the superintendent of the Third Avenue Street Railway Company in New York. He bought 200 acres of pastureland in New Canaan as a place of rest and recuperation for the horses he employed in pulling railway cars throughout the city. Birdsall began spending summers in New Canaan and winters in New York City. He eventually left city life altogether and opened the New Canaan Hotel, which today is known as the Birdsall House. In 1868, after years of bypassing New Canaan, the railroad finally came to town, making it easier than ever for city dwellers to visit the area. New Yorkers with summer homes in New Canaan organized the precursor to the town’s first country club in 1892. 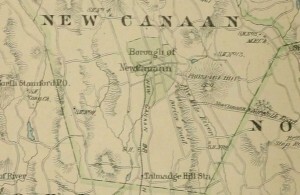 The New Canaan Water Company (chartered in 1893) provided a reliable water supply and the electric light made its first appearance in New Canaan in 1897. With all these modern amenities in place, the flood of New Yorkers arriving in New Canaan reached a crescendo in the late 19th century. In the early 1900s, the town continued to cater to summer residents, offering ice cream parlors, soda fountains, sporting goods stores, and souvenir shops. Like many of their predecessors, New Canaan’s 20th-century visitors became equally enamored with all the area had to offer. Thanks to the rise of the interstate highway system, supplemented by improvements to modern rail traffic, New Canaan remains a favorite residential spot for those who choose to work and shop less than an hour away in New York City. “New Canaan Historical Society,” 2017. Link. New Canaan Historical Society. Landmarks of New Canaan. New Canaan, CT: New Canaan Historical Society, 1951. New Canaan Historical Society, and Mary King. 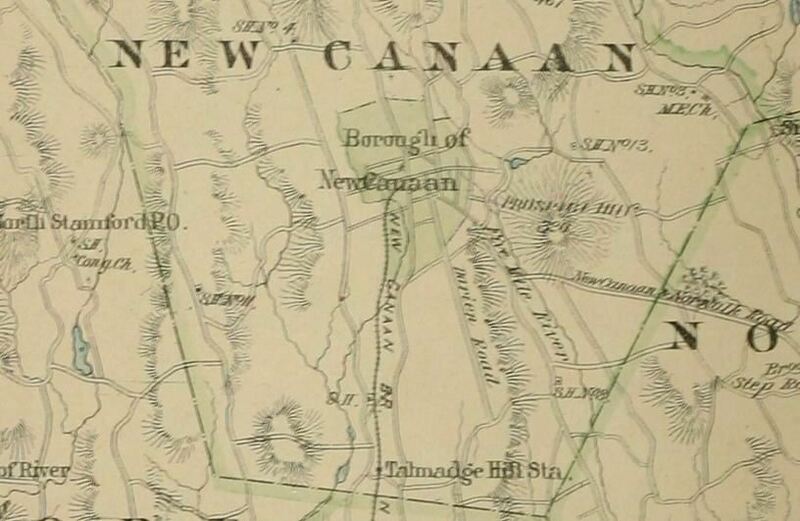 Portrait of New Canaan: The History of a Connecticut Town. 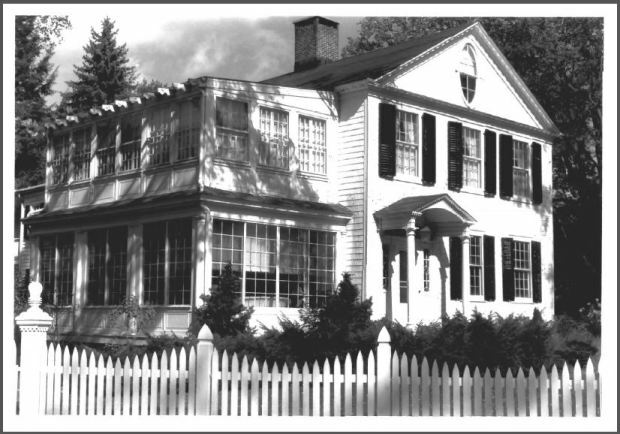 New Canaan, CT: New Canaan Historical Society, 1981.